Meticulously clean, Japanese markets are a testament to the affluence of the island nation of Okinawa. In the Makishi market, a vendor at one typical stall offers a potential customer a free sample of daikon (giant white radish). 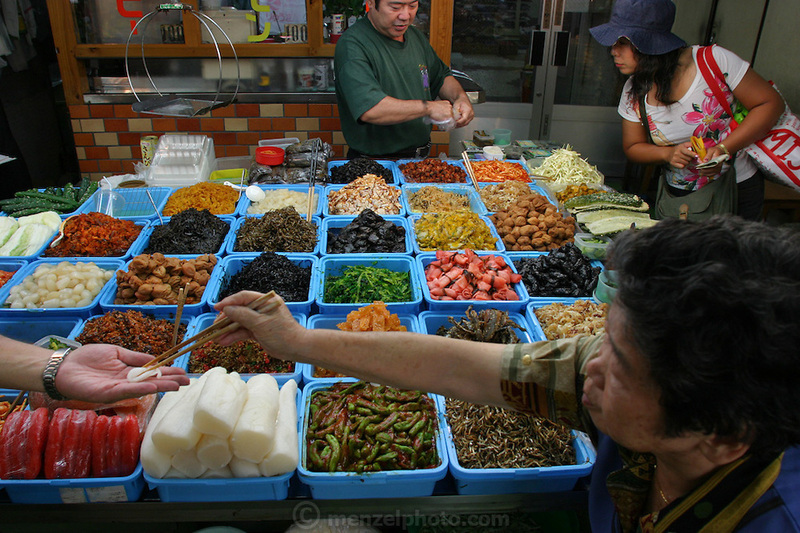 Other choices include bitter melon, prunes, pickled baby cucumber, cabbage, rakkyo (a root in the lily family), and many other delights. Hungry Planet: What the World Eats (p. 191). This image is featured alongside the Matsuda family images in Hungry Planet: What the World Eats.